Properties in Bay Of Many Coves average 4.6 out of 5 stars. Property 22: The PICK of PICTON - luxury modern apartment. 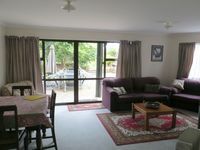 THE KABBAGETREE - Waikawa Bay - Your home away !! 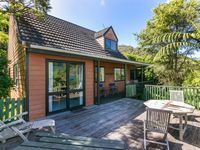 Property 41: THE KABBAGETREE - Waikawa Bay - Your home away !! Enjoy stunning landscapes from the deck. Property 45: Enjoy stunning landscapes from the deck. Brilliant stay for a long weekend. Great spot and very chilled kiwi Bach style place for long weekend. Great communication with owners. Highly recommended.